During lunch time, vegetables and side dishes are all-you-can-eat. 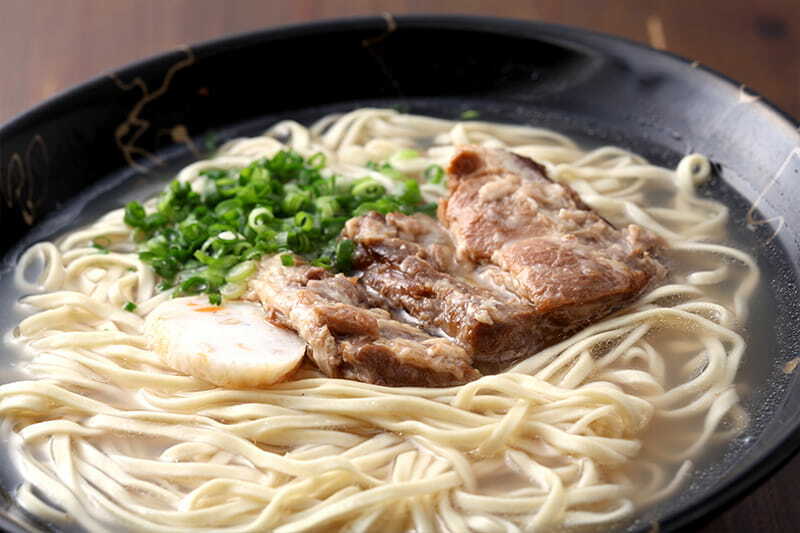 The soup that comes with all set meals can be changed to Okinawa Soba for an addition 200 yen. ※All listed prices do not include tax. Feel free to contact us regarding reservations or product orders. Copyright © Ishimine Shokudo – The Taste of Okinawa All Rights Reserved.